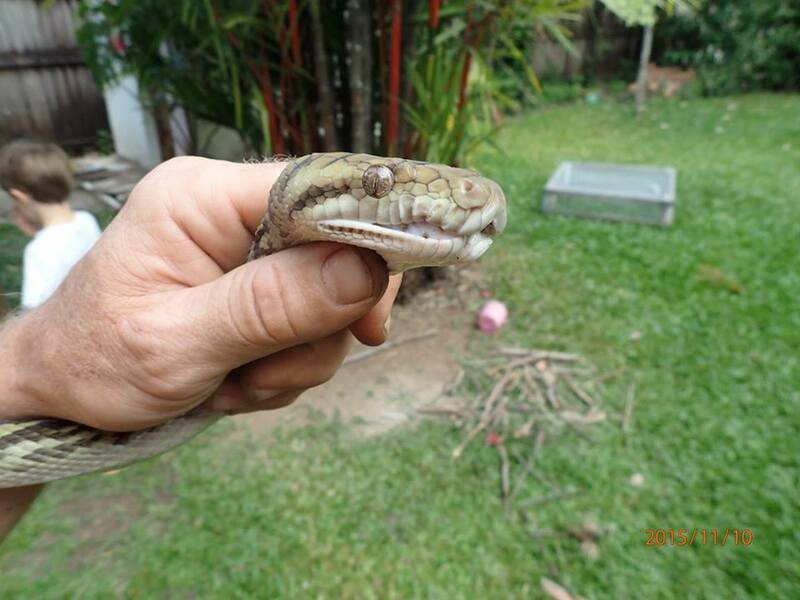 Sometime in the dark of night on November 11, 2015 a young carpet python slithered silently into the home of Lilly and Fluffy Thompson, wound its muscular body around wee Fluffy, squeezed the life out of him and then swallowed him head first while partner Lilly watched in horror from the corner of the room…expecting a similar fate. Next morning, Simon Thompson, father of Bennina and Charlie and husband of Martina Reinhardt, discovered the traumatised guinea pig Lilly cowering in fear beside the sated serpent as he quietly digested Fluffy, who was now merely a lump in the 2-metre reptile’s length. 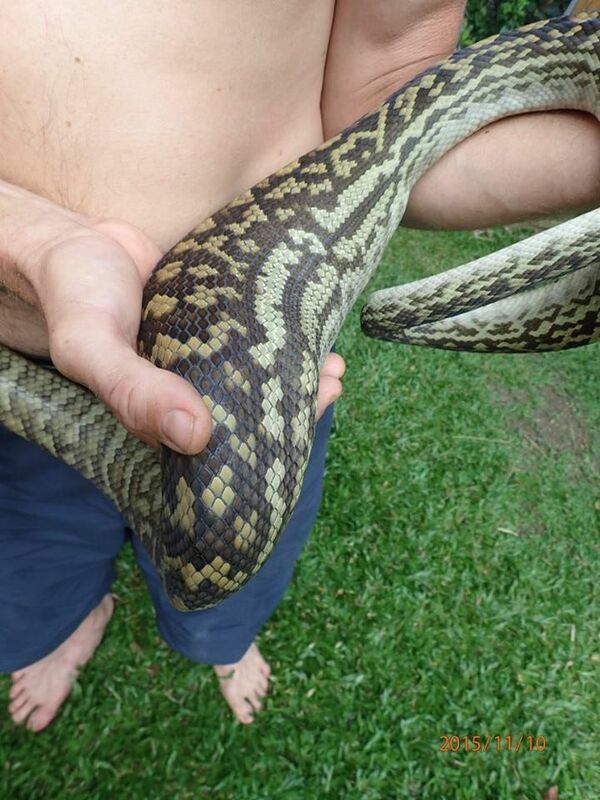 Carpet pythons (Morelia spilota) are non-venemous, nocturnal constrictors and can grow to 4 metres in length. 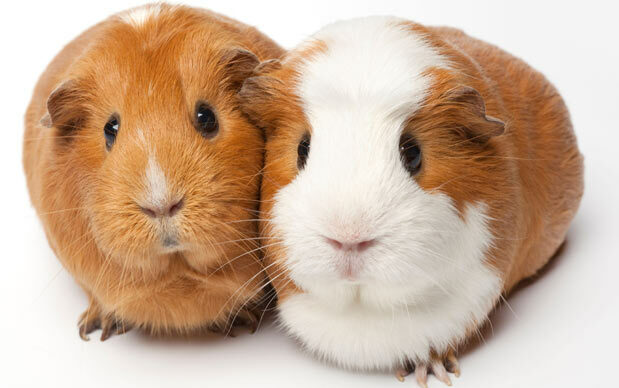 They feed mainly on small mammals, bats, birds and lizards and would have seen Fluffy and Lilly as convenient meals rather than children’s pets. They often inhabit populated areas and serve humans well by eating mice, rats and other vermin. 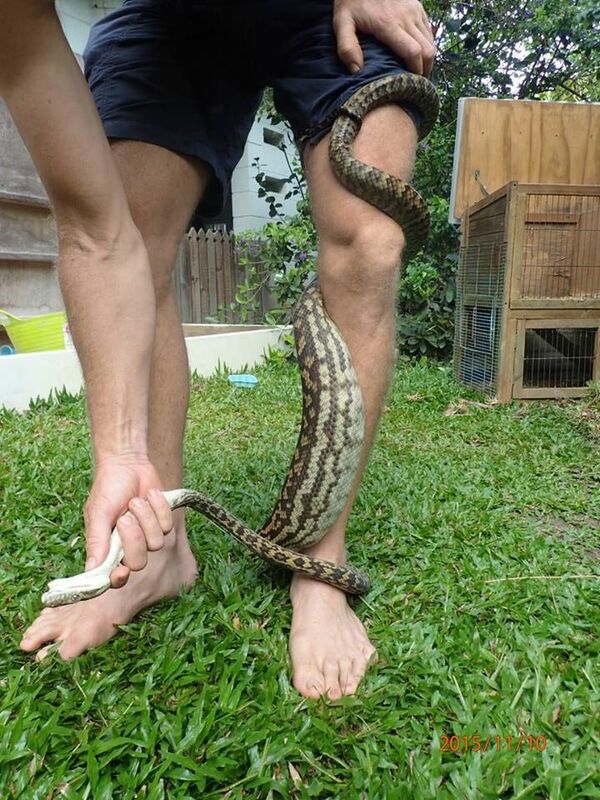 However, they have also occasionally been known to dine on domesticated animals and on March 14, 2014, a 2.5 meter carpet python ate a pet Chihuahua chained to a doghouse in New South Wales, Australia. Thompson, a park ranger for the Queensland Parks and Wildlife Service based in Cairns, Australia, wondered how he would present Fluffy’s demise to his children. 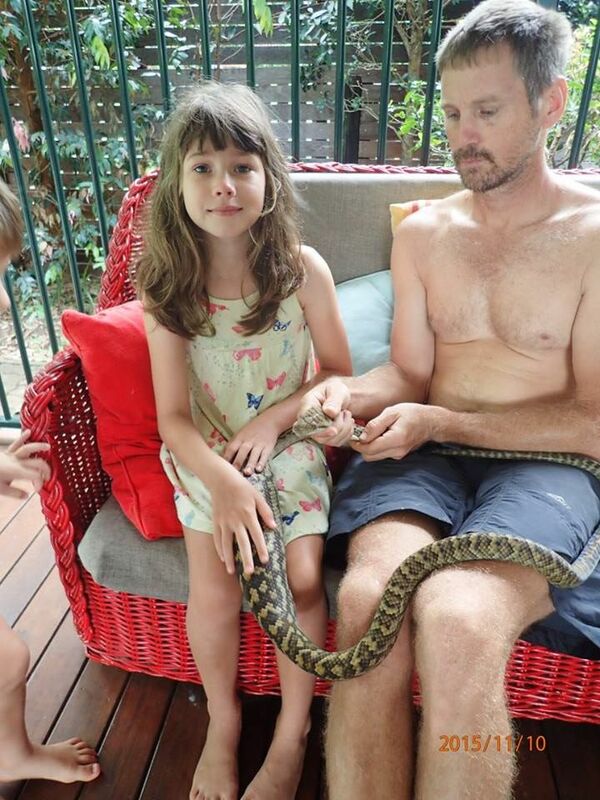 Being a staunch environmentalist and committed parent, he decided to catch the snake and explain to his family that snakes are animals too and, like all animals, they need to eat…it was just unfortunate that the family pet Fluffy had satisfied that requirement on this occasion. Explaining this to the children and his German-born wife, who is unlikely to have had a similarly distinct fauna experience before moving to Australia, required considerably deft and compassionate kindred diplomacy. Thompson assembled the family and carefully explained the natural realism of Fluffy’s noble demise and how his life had prolonged that of another. Perhaps realising that its choice of repast was somewhat indelicate, the captured ophidian attempted to escape the possibility of retribution by constricting Thompson’s leg. But the experience snake handler had a firm grip on the reptile, which was ironically limited in its natural ability to defend itself by constriction due to the children’s pet in its digestive tract. After explaining how Fluffy met his tragic end, Thompson showed the snake to his children and permitted them to stroke the lump in its midriff to say a final solemn farewell to their beloved Fluffy. Bennina Thompson (left) strokes the snake lump to farewell her old friend Fluffy. Photo by Martina Reinhart. Fluffy leaves behind his partner Lilly, who is undergoing therapy and psychiatric counselling and a nearby facility and is reportedly making good progress in transgressing the trauma of graphically witnessing her partner being crushed and swallowed by a constrictor. Thompson released the culprit back into the bush and has now snake-proofed the children’s guinea pig house and will look for a replacement for Fluffy…after a suitable period of mourning of course. This entry was posted in Australia, Children, Conservation, Funny, Guinea Pig, Hilarious, Humor, Humour, Nature, Parenting, Parody, Python, Satire, Snake, Tragedy and tagged Australia, Children, Conservation, Environment, Fnny, Humor, Humour, Nature, Parenting, Parody, Python, Satire, Snake, Tragedy. Bookmark the permalink. Times like this pleased we live here! Too much excitement for you Jan? A sad tale. The troubling part, for me, is when I imagine the children being introduced to the reptile. That might have been handled better. Fair enough…what would you have done Tazbo? Beaten the snake to death in front of the children to show them how to take retribution for their lost pet? A simple explanation would have cracked it, I reckon. The snake could have been sent on his way long before then. He’d had a good night. Release the snake and then tell them about it…Mmmm…you’re probably right, but I like the closure they had by stroking the Fluffy lump in the snake before it was released…I reckon Simon did well…I know the family as well and know that they are keen to get their kids into nature and all its mysteries, wonders and realisms. I wonder if the next logical step, then, might be the stroking of a much larger constrictor containing a human family member. Theoretically thinking, that is. Do you consider the kindness shown this serpent may result in it taking liberties? In a case where one’s human family member might have been dined on and still be swelling the snake’s digestive tract, you likely would get access to the inside, yes. This was already a blasted cheeky snake, akin to a stranger going into your fridge and taking your underpants from the milk shelf while you nap. You don’t keep your underpants on the milk shelf? There’s no accounting for folk, is there? Tch! I rarely wear underpants and NEVER drink milk!